Hot, cold, filtered and/or rainwater, but just one distinguished mixer. 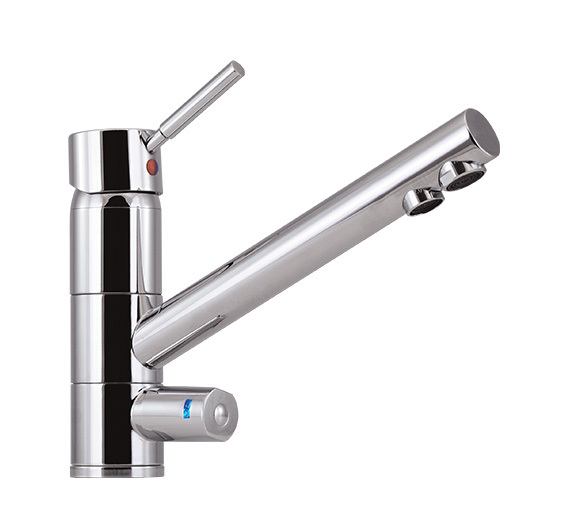 Use the main handle to control your hot and cold mains water, or turn the lower handle clockwise foar filtered tank/mains. 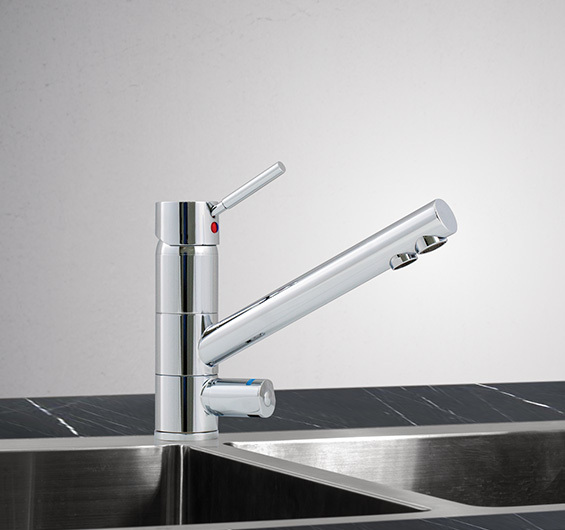 Mains and filtered have separate outlets, with independent tubes inside the tap, so there’s no mixing of filtered and unfiltered water.